I almost never remember my dreams. Maybe once every couple of months I’l wake up with a vague notion of what passed through my brain in the middle of the night or a random comment during the day will unlock some stored and normally inaccessible memory. There is, however, one way I get a little glimpse into what’s flowing through my head in the slumbering hours. I have an almost 5 year old. His music has turned off. His sheets are messed up. A book has fallen off his bed. He’s had a bad dream. Usually, it is 1-4, rarely 5. You can get an idea from the list that these are not exactly 3:00 AM emergencies, but, he’s a good boy, so… we allow it. Last night he came in and not only did he interrupt our sleep, but he caught me in the middle of a bit of a nightmare of my own. I was either in Belize or on my way to Belize. I had WAY under-packed. I found myself with a simple backpack and a rod tube. One rod. I had brought an 8 wt (probably my favorite, my Helios 2). But… where was my 10 wt? Where was the tarpon stick? Where was the cuda rod? You can see what a nightmare that would be, right? Now… because I tend to believe dreams actually do relate to the real world, I have traced back that particular dream to two places. That’s a tarpon caught out of El Pescador in Ambergris. It happens to be the lodge where I spent my honeymoon and where I got my Grand Slam. 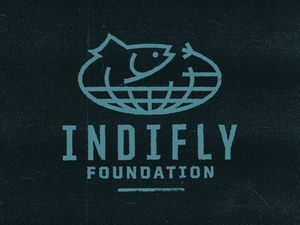 Second source, I believe, for this dream/nightmare is that I’m going to Christmas Island in about 2 months and I am WAYYYYYYY behind on my tying (I’m about a dozen flies into what should be about 5 or 6 dozen flies tied). That which is left undone is one of those underlying reasons for many a nightmare or sense of anxiety (or so I believe). When you feel like something isn’t totally right, it usually has roots in some task or job you haven’t taken to 100%. So… I guess I better get tying. Oh thanks Facebook Memories. I saw a pic today from seven years ago of me holding a tarpon from Belize. 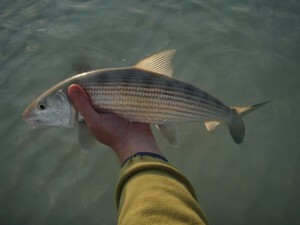 That fish capped of a really wild day of fishing out of El Pescador with my friend Shane from The Fly Shop in Redding. That tarpon was the final piece of my grand slam, made even more special because it was with my first (and only) permit and my first tarpon. What a wild day that was. I know, looking back, and I knew at the time, that the biggest factor in all of that coming together was my tremendous skill luck. Really, I had no business tying into a grand slam. 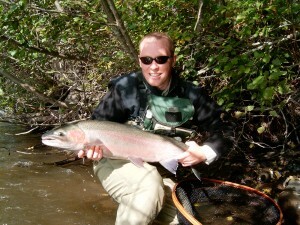 My friend Shane certainly did have a claim to one as he’s one of the best anglers I know. 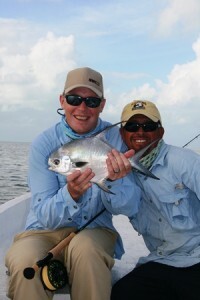 He actually hooked both a permit and a tarpon that day (as well a mess of bonefish… it is Belize after all). He already had a grand slam to his name and he is good enough to catch a grand slam on skill. Now I’m a much better angler than I was back then. I’ve put the time in. My casting is better. My understanding is deeper. I’ve now been spurned by a few permit and understand on a better level than, basically, permit are jerks. I’d be more likely to catch a grand slam on skill now, but back then, it was luck. 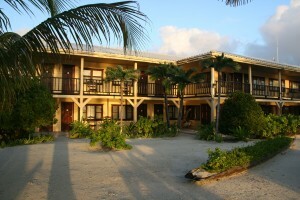 A great Belizian lodge in a great American newspaper. 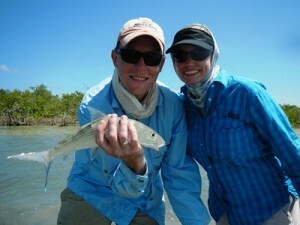 The New York Times ran a piece in their travel section on El Pescador in Belize. I’ll be close to there in about a week when I’m down at Caye Caulker, but I have some fantastic memories from El Pescador including my first (only at this point) grand slam, my first (only) permit, a great trip with my friend Shane where we persevered through horrid weather and a great trip with my wife for our honeymoon. I mean… come on. The awesome levels here are off the chart. Adam Marton is back at it again. 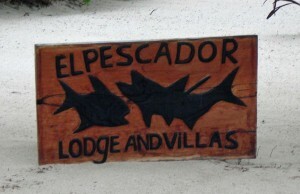 He’s organizing another trip, August 15-22, back to El Pescador in Belize. 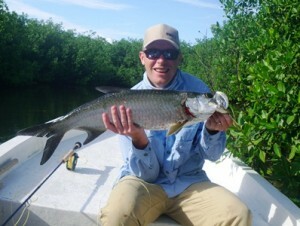 This trip is to tag some tarpon and the along on the trip will be Andy Mills, the guy who wrote the book on tarpon. What a cool trip that will be, eh? I love El Pescador. I’ve been there twice and get to go back on our 5th anniversary (my wife uttered those words and I have not forgotten them). It is a great base of operation and the hospitality and guides are hard to beat. 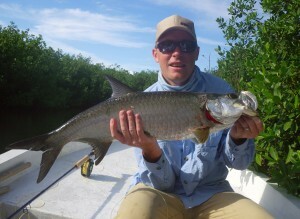 And… there are tarpon there. That’s where my first tarpon came from. It will always be a special place for me. If you are interested, give Adam a call, or email. Let’s be clear, I’m not going anywhere any time soon. This is not an announcement of any kind. I saw a Facebook post from a friend about a biodegradable urn that would convert your physical form into a tree. Pretty cool idea, really. I have a different plan for what I want done. I want to both share some of my special places with my kids/wife and to be a part of those same places. I envision a tour of my most beloved waters with a little bit of my ashes deposited in each place. 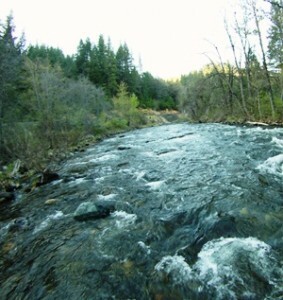 The Upper Sacramento River – My home water, where I learned to fly fish. Specifically, the riffle just below the Prospect Ave access point. That has been one of the best spots to me and for me through the years. 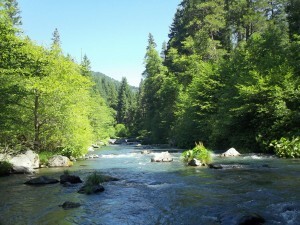 The McCloud River – Beauty and solitude and emerald green waters. Love this place. I think I’d hope to be deposited in the camp waters behind the Ah Di Nah campground. The McCloud… Upstate California, from a trip in 2011. The Babine River – There is a hole on the Babine named Strom’s Pool, named after my grandfather. I only fished it once and I didn’t land a fish there, but it would be fitting to leave part of myself there. My daughter’s middle name is Babine… for a reason. 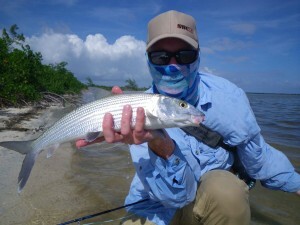 Grand Bahama – This is where I caught my first bonefish, right behind Deep Water Cay with an independant guide from Mclean’s town. 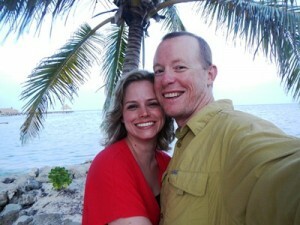 Belize, El Pescador – My grand slam and my honeymoon. Some fantastic memories. I think if my children got to go on that pilgrimage they should find something they love along the way. Here’s to hoping they make that trip in 40 years.